The Central Housing and Planning Authority (CH&PA) must immediately investigate what level of influence was exerted to allow the husband of its subject minister to cash in on millions of dollars’ worth of government contracts, says Chairman of the Integrity Commission, Kumar Doraisami. 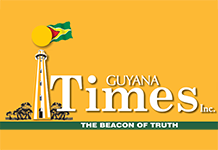 The Guyana Trades Union Congress (GTUC) Monday called for such a probe to be launched by the Integrity Commission, but that body is currently unable to carry out investigations because it is not staffed with investigators. Junior Minister of Communities with responsibility for the housing sector, Valerie Patterson-Yearwood is coming in for harsh criticisms over revelations that her husband, Godfrey Yearwood was given three contracts in 2017 to construct houses for the CH&PA. Minister Patterson-Yearwood has since insisted that she was unaware her husband was bidding for the projects and that she had no input in the process. But the Integrity Commission Chairman says the public cannot take her word for it. “The only way you can know the truth, you have to do an investigation within CHPA: those that looked at the contract, those who get to have a final say. 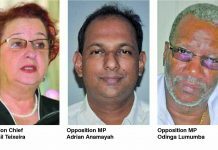 I don’t know if the minister has any say…if it is that she has some say, then one could take it to mean that she would have known that her husband has a contract with them,” Doraisami told Guyana Times during an exclusive telephone interview. From newspaper reports, Doraisami believes that the issue is a clear conflict of interest and that there is enough reason to suspect that the minister knew her husband was bidding for the projects which fall under her watch. “There must be reasonable suspicion that she would have somehow known that he was getting this contract, she being married to him. 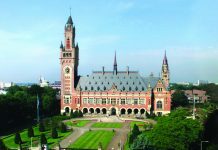 It would appear that some form of bias would have influenced the giving of the contract, if that is the case, then it’s a terrible thing to happen,” Doraisami, a former land court judge, stated. While not providing much details, the CH&PA Head called for a review of the awarding process so that there is no reoccurrence of such a situation. “The award of contract is above my level. But I think the (CH&PA) Board should review that (awarding process) based on recommendations coming from the agency,” Saul asserted. In fact, he contended that if the mere fact that the husband of a minister received so many contracts from the agency which the same minister oversees, represents a case of conflict of interest, which is a breach of the Code of Conduct enshrined in Integrity Commission Act. It is unclear whether Minister Patterson-Yearwood did as mandated under the Integrity Commission Act. 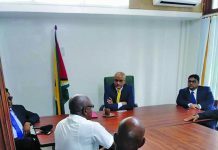 In fact, the issue was only brought to light by Opposition Leader Bharrat Jagdeo during one of his weekly press conferences. Furthermore, the Code of Conduct has ten guiding principles, three of which relate to integrity, responsibility and transparency. From all indications, Minister Patterson-Yearwood is in breach. 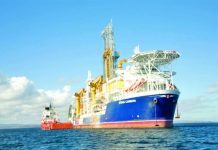 However, the Act is silent on penalties, and this was one of the main flaws raised by the Transparency Institute of Guyana Inc. (TIGI) before the government passed it in the National Assembly in 2017. Days after it was revealed that her husband was awarded a contract by the CH&PA, the Minister remained silent on the matter. It was only on Monday, through a statement published on the website of the Department of Public Information, Minister Patterson-Yearwood admitted that her husband was given three contracts by the CH&PA in 2017. She admitted that one of these contracts is still outstanding, but is expected to be concluded in two weeks’ time. The Integrity Commission could have investigated this matter but it is currently without the necessary staff to do so, even more than one year after it was established. 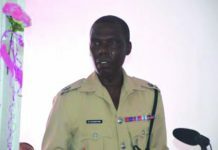 The Chairman said the body is in the process of putting together a job description and it will soon be advertising the vacancies. The GTUC, in a statement Monday, had called for the Integrity Commission to investigate this matter. However, the Union recognised that the Commission lacks the capacity to do so, and has therefore called on the government to address this matter urgently. Noting that institutions cannot be put in place with no teeth to function, GTUC has called for a drive to fully staff not only the Integrity Commission, but other investigative arms of the State.